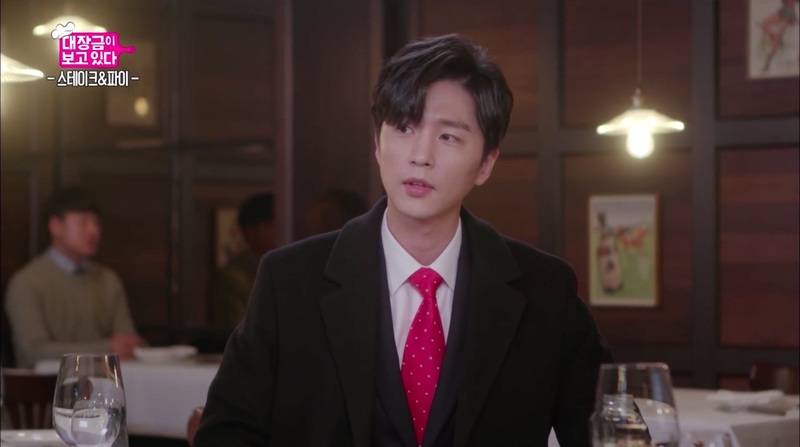 Han San-hae (Shin Dong-wook) buys vouchers for this restaurant for his office gift exchange in episode 21/22 (full episode 11) of Dae Jang Geum Is Watching / The Great Jang-geum Is Watching / Jang Geum, Oh My Grandma (대장금이 보고 있다) (MBC, 2018-19), in hopes that Bok Seung-ah (Kwon Yu-ri of Girls’ Generation) would be the one to receive it. 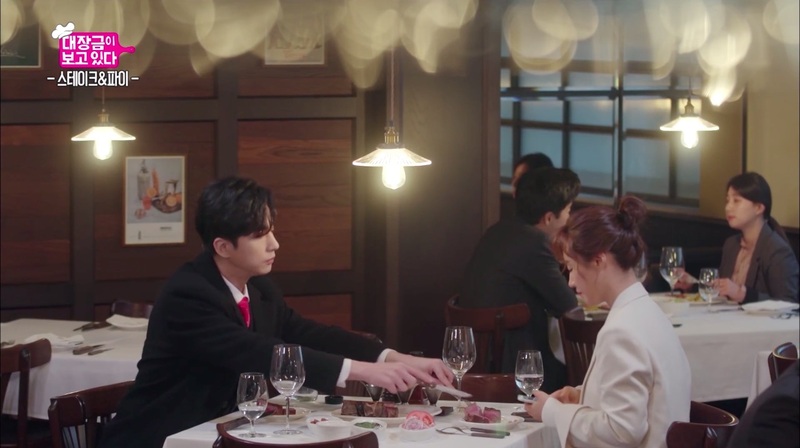 When he sees that someone else had gotten it, he’d lost hope — until she turns up at the restaurant instead. 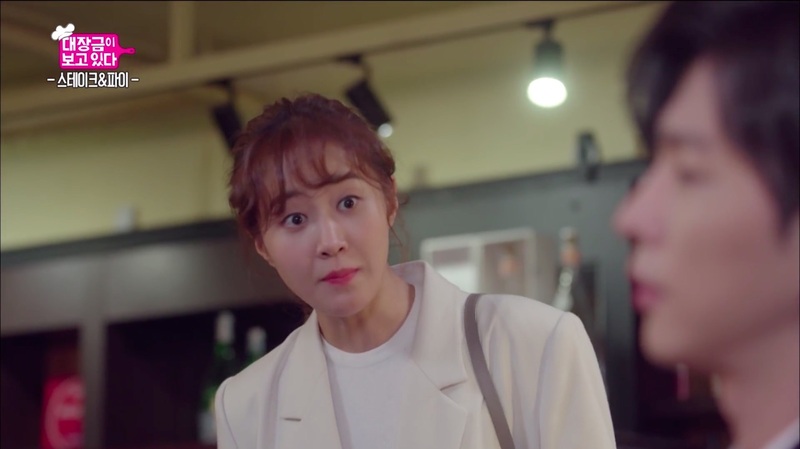 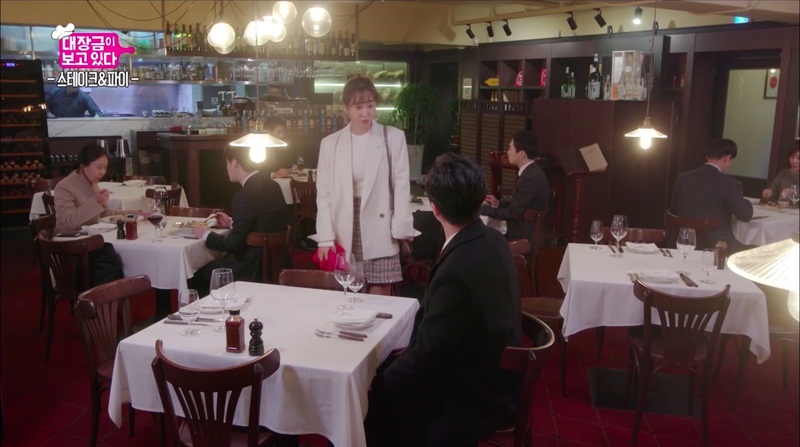 Here, they enjoy a dry aged T-bone steak with both the sirloin and tenderloin; though Seung-ah’s mind is also on Jung-sik’s (Kim Hyun-joon) request to meet later in the evening. 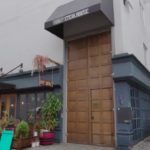 Vault Steakhouse [볼트스테이크하우스] is a Western restaurant that specialises in American-style dry-aged steak. 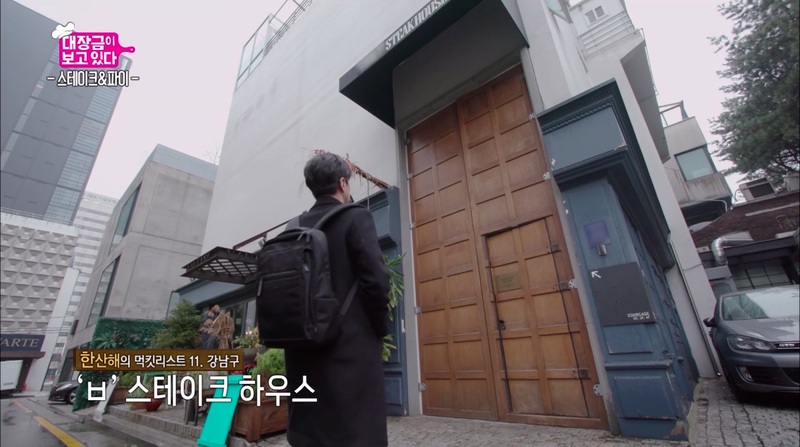 It is located in Seoul’s neighborhood of Cheongdam [Cheongdam-dong/청담동] in the Gangnam district [Gangnam-gu/강남구], a 3 minute walk to/from Miel [미엘]. 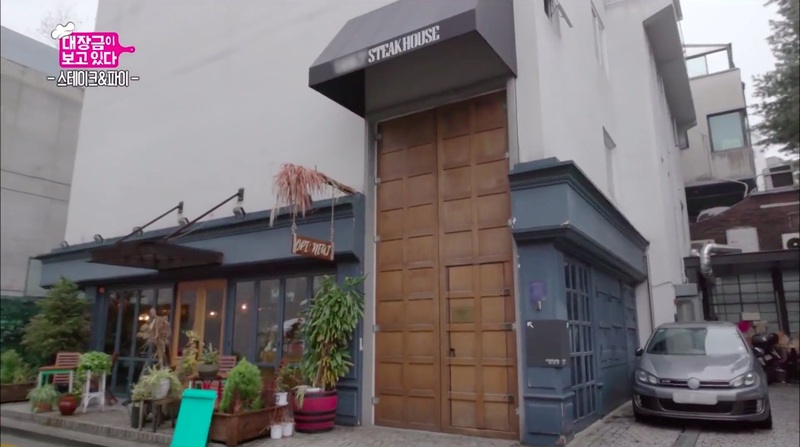 There are also two bars located at this same building — Vault82 [볼트82] and Ope Neat [오프닛].